Christina Riley, a recent BYU Applied Social Psychology doctoral candidate, has recently been awarded a prestigious Fulbright Scholarship. With it, she intends to work in India, studying the likelihood of physical abuse in that country. Her interest in helping resolve social justice issues like domestic violence effectively through prevention efforts is what drove her to apply for the scholarship, and what drives her research. 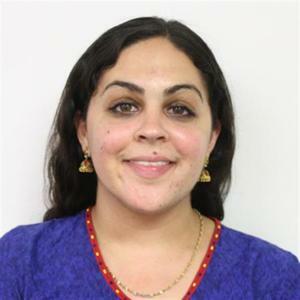 She’s published five papers examining effective domestic violence prevention programs cross-culturally, as well as the social factors that contribute to domestic violence perpetration, as well as gender roles and obesity. What is a Fulbright Scholarship? The scholarship that will be the catalyst for her dynamic research is one of many awarded by the J. Williams Fulbright Scholarship Board, whose members are all appointed by U.S. presidents. Each year, it gives around 1,900 grants and works in over 140 countries. It is administered overseas by bi-national commissions and U.S. embassies, who all work to increase mutual understanding between people of the U.S. and of other countries through exchange. In a time when both the physical and virtual worlds are more accessible that they have ever been, such increased, mutual understanding, acquired by as many students as possible, is perhaps more important than it has ever been. BYU’s College of Family, Home, and Social Sciences is not only proud of Christina, but interested in making sure that other students know about this great opportunity. To that end, the college hosted events in March to increase awareness and facilitate application preparations. graduating seniors and recent bachelor’s-degree recipients that have some undergraduate preparation and/or direct work or internship experience related to the project. Young professionals, including writers, creative and performing artists, journalists, and those in law, business, and other professional fields Competitive candidates who have up to 5 years of professional study and/or experience in the field in which they would like to apply will be considered. Those with more than 5 years of experience should apply to the Fulbright U.S. Scholar Program. More information on the scholarship program can be found at us.fulbrightonline.org. This program “provides grants for individually designed study/research projects or for English Teaching Assistant Programs.” The research will take place outside of the United States. Applications can be found here. 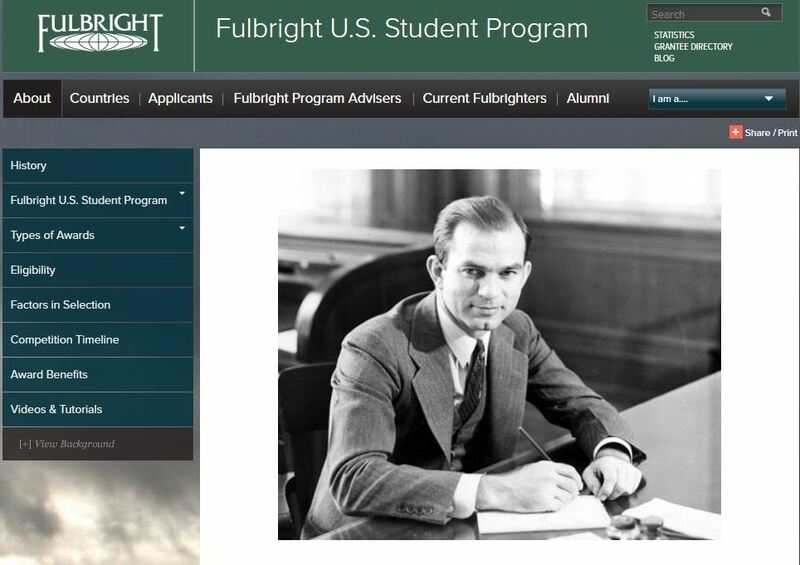 The Fulbright Scholarship was proposed in 1945 and signed into law by President Harry S. Truman in 1946. A student does not need to be currently enrolled in an institute of higher education to apply. They can apply for two kinds of grants, based on their desire to do independent research or study abroad, or to teach English abroad. Each grant funds 8 to 10 months of work. The grant funds round-trip airfare and provides a monthly stipend, as well as accident and sickness insurance and other possible benefits.